I can’t express how hard it is to run any errands without snacks for my Izzy. It’s pretty much impossible. Tell me I’m not alone! I know I’m not the only mom looking for healthy and quick snacks. 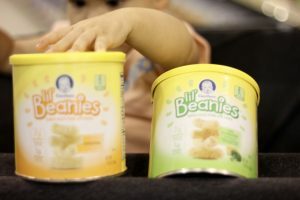 Gerber has me and Izzy feeing happy and at ease with their Lil’ Beanies. She loves them because they are yummy and I love them because they are non-GMO and have no artificial flavors, colors or preservatives. That makes this a win win snacking situation! Izzy knows what she likes! “Uh oh!” That means it is refill time! Which flavor will she pick? Not only are these a perfect snack for home and on the go, but they are a perfect halloween gift! Yes, we all know these kiddies are going to get way too much candy. 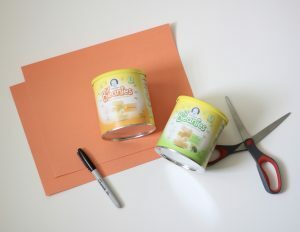 Ready to see how we made our favorite snack into the most adorable gift for Izzy to give to her buddies? 1. Cut the construction paper into 4 by 12 inch rectangles. 2. Draw your pumpkin face onto the paper using a sharpe. 3. 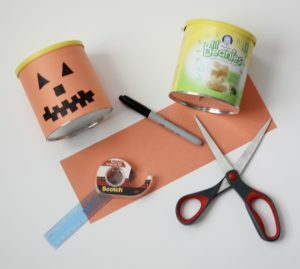 Wrap the construction paper around the can and tape together in the back. 4. Write a special note on top of the cover. 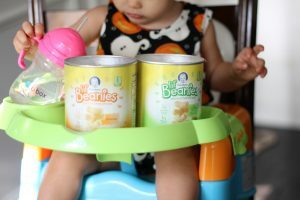 Snag your Gerber Lil’ Beanies at $.75 off and enjoy a win win moment with your kid(s). My kids love these snacks! 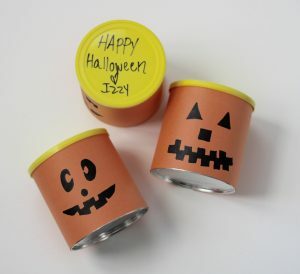 That Halloween can is adorable! Such a cute idea ? Thank you! A healthy treat for friends! ? Such a cute idea! So much better for our littles than candy is! 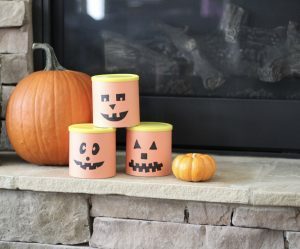 Such a fun Fall craft! 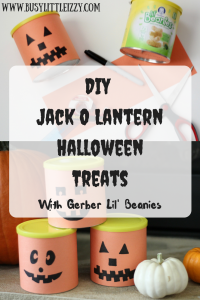 My little ones love Gerber snacks, too! Thank you! 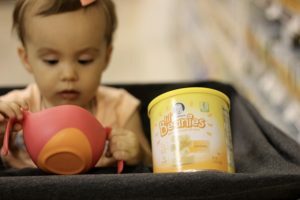 Gerber snacks for the win! What a cute idea!! These snacks are a huge hit in this house! So so cute! Gerber always wins. This is an adorable idea!! Love! 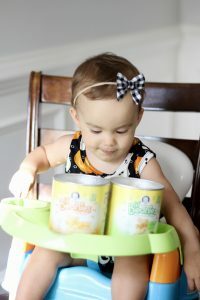 Those are such cute little Gerber snacks! My kids loved those when they were little. Okay this is a great idea and I have an unopened can at my house right now! What a great craft idea! I’m always saving containers and telling hubby they’ll be good for DIY’S…eventually lol!